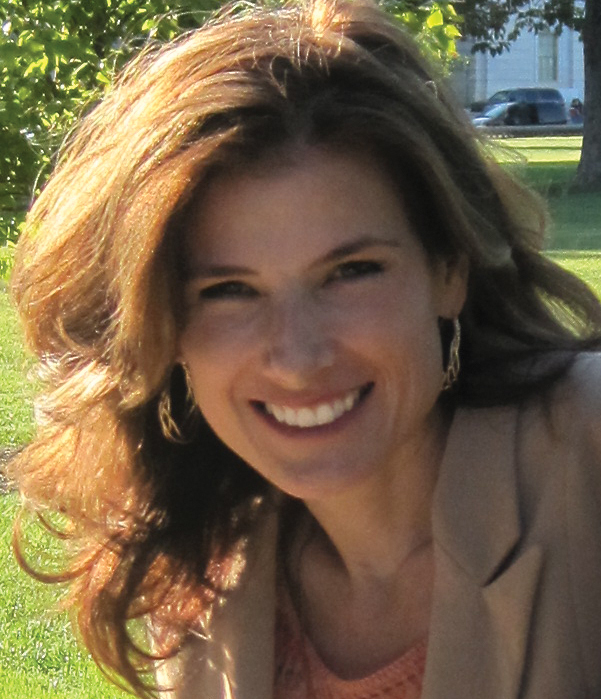 WebMD magazine chooses Kelly as 1 of 4 “Champions of Care”! Look what I found on my dresser when we got home from Chicago last night! The new WebMD magazine with yours truly in it! You can click on the images to enlarge and read the text or read the story on the WebMD Health Hero honorees page. The WebMD Health Hero award was a big surprise when I first heard about it on Facebook a few weeks ago. The magazine publisher requested that I quickly hide a blog post where I mentioned it. So, I had to keep it a secret. You can read a bit of the story behind Kelly winning the Health Hero Award on the blog at the Rheumatoid Patient Foundation site, rheum4us.org. 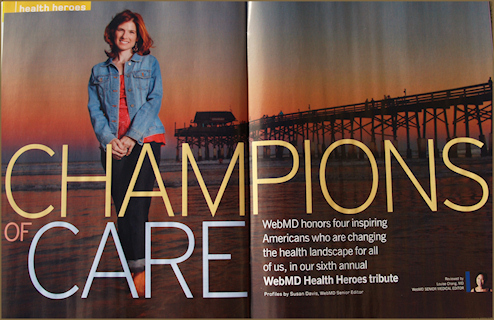 Read or print the PDF version of WebMD Health Hero Award article – click here. Congrats Kelly! So very proud of you and what you’ve accomplished!! You certainly are a deserving honoree!!! Thank you Kelly for all you do for us! YEAH my friend!!! I am so proud of you!!!!! Thanks for being such an integral part of so many people’s lives! CONGRATS Kelly! Congratulations Kelly!! :-D You definately deserve it and so much more! Oh Kelly you look so pretty in your pictures!! Yay for you and all the hard work you’ve done for us! I’m so grateful for your site and your time and caring words! They have meant so much to me in my times of need. Thank you so much! I can’t say it enough. CONGRATULATIONS, KELLY!! You are as beautiful on the inside as you are on the outside! Thanks for all your hard work…. it is certainly paying off in big ways! Think of you often, Jenny. Thank you! Awesome Kelly – nobody deserves this more than you for your tireless dedication to our illness. Thanks so much for all you do. 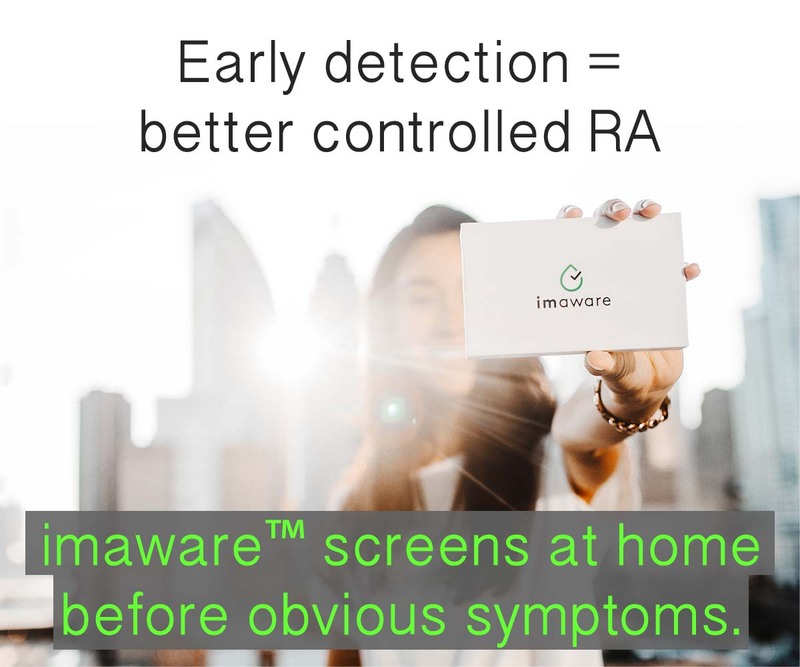 rawarrior – you are the “inspire” in inspiration. congratulations on your WebMD Health Hero Award http://t.co/0RgBbtf5 ! Kelly, I got goose bumps when I read you were awarded this honor! Cangratulations to you for all your hard work. Plus a big thank you for what your work has brought to my life & others too. Congratulations don’t seem adequate, but I can’t think of anything else. Congrats!!! Kelly, congratulations on your award! You are so deserving – all the time and energy you pour into your work and research, time spent away from your family and the pain you deal with daily – but thank you most of all for a meeting place for the RA Warriors battling this disease to come together in support of one another – to learn and educate others – and just to know they are safe among friends that care and actually “get it”. Congratulations and my sincere thanks for all you do. Congratulations Kelly! You are doing such great work! And you do look beautiful in the pictures by the way. Kelly, Bless your heart! You certainly deserve this award. Our trip with RA would be so much more difficult without your determined spirit and effort to investigate the many faces of RA and to educate the medical community about the true experience of this disease. May you continue to have the energy and strength to pursue your mission! Congratulations, Kelly! It’s so wonderful to see your tireless efforts on behalf of so many recognized in such a big way!! Way to go, Kelly! Thank you so much for all you keep doing. You are a real inspiration to me and I am sure to many. Congradulations on your award. Kelly Congratulation and thanks for all that you do!!! Congratulations Kelly! This is well deserved recognition for everything that you do for our community! Congratulations, and woot! Fantastic pictures, too. Awesome to have this article about an amazing woman, but also awesome that our battle stays in the spotlight! Congratulations Kelly!!! You deserve it!! Thank you, Mer. It is a treat to hear from you – it’s been too long since we’ve talked. This is so terrific and well deserved, Kelly! My husband, who only knows who you are through my comments about your blog, was very happy to hear the news too! Keep it up– you are a lifeline for so many of us! Brava! Just woke up from a nap to find this via Twitter. Well deserved, truly earned. You’re making change happen!! Thank you Meredith! And I’m glad you got a nap – I’m trying to learn from your discipline. Thinking of you a lot as I try to get back to projects now that the longgg fall travel schedule is ended. What a wonderful honor to be recognized for all of your hard work. Thank you for speaking up on behalf of us all. You have blessed so many people by your willingness to fight back. Thank you, Susan. That means a lot to me. Kelly you should and understand just how proud we are of you. It’s not about recognition, its about awareness and you have raised that bar for us. Thank you for your support and your encouragement. I can not think of a more deserving individual. Congratulations Kelly, you deserve it! I’ve been combing through your blog for a few months now and as someone newly diagnosed with RA, not only did I find the information helpful but with the support of family and friends began my own blog to try and help others understand this disease and what it means for me. Thank you for helping me through this tough time of being diagnosed with RA. I really appreciate it. Congratulations Kelly! You definitely deserve this. You gave help to so many of us out here. I was about to give up and then I was told to find your web site. Thank you and your family for being there and being so giving of yourselves for others. You are one fantasic lady! Glad to see you getting the recognition you have earned! 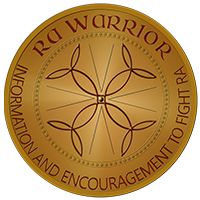 I am forever grateful for your work to share information with other RA patients and the world. You have made this ride a little easier to bear. Very well deserved award, Kelly. It’s great to see you honored in this way. Hey Kelly: Good to see so many of us in your corner. You are really a force of good for all us RAWarriors. Thanks again and God Bless You! Congratulations and thanks for all you have done, you have helped me with your web-site! Congratulations! I couldn’t think of anyone more deserving! Way to go Kelly! You’ve done an amazing job so it’s nice to get some good recognition. Nobody deserves this award more than you Kelly, you are the ultimate RA Warrior Hero! Thanks for all you do, I can’t even imagine how you manage it all! How awesome! Kelly, no one deserves this more than you, I’m proud of you. Sorry I’m a bit late on this, better late than never. Most definitely better late! The magazine is still new – not late anyway… Thank you so much Terry!! Congrats Kelly! You deserve to be acknowledged for the ministry that you do! BRAVO!! !